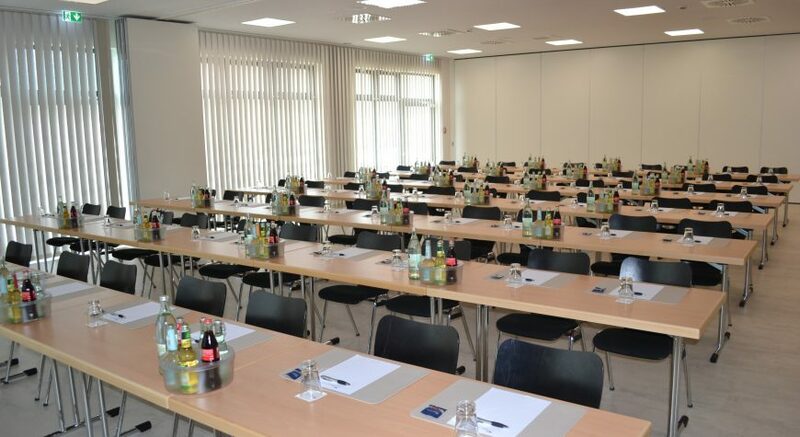 Look forward to a fully air-conditioned conference and business hotel in a beautiful green environment – equipped with modern technology and 66 rooms – with a sophisticated modern design – in a calm and central place with an excellent connection to the Autobahn A3 exit Heidingsfeld – in direct proximity to the Autobahn junction Würzburg West and the Autobahn junction A3/A7 Bibelried. Würzburg, cultural center and popular day trip destination, is only a few-minute drive away and offers excellent connections to the central station as well as cultural and touristic highlights that will make you love this Franconian metropolis and wine region. 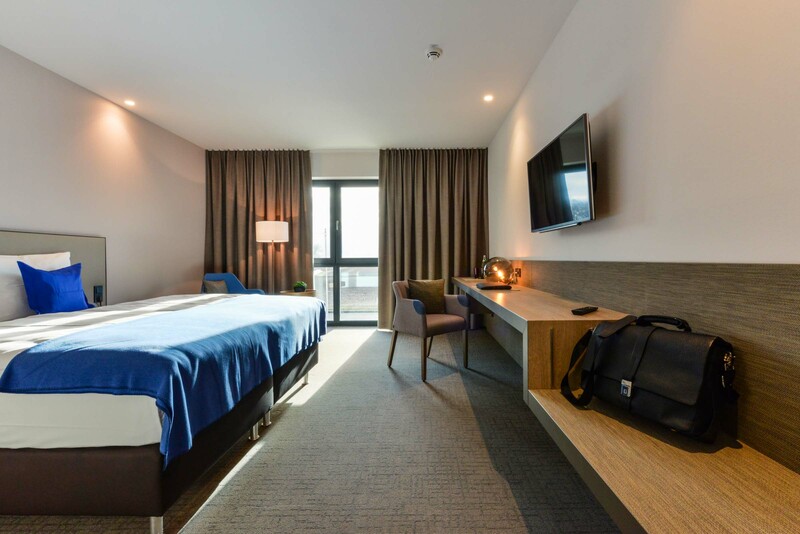 Stay in one of the 66 sophisticated and fully air-conditioned hotel rooms and enjoy the excellent combination of great design and modern conference technology. 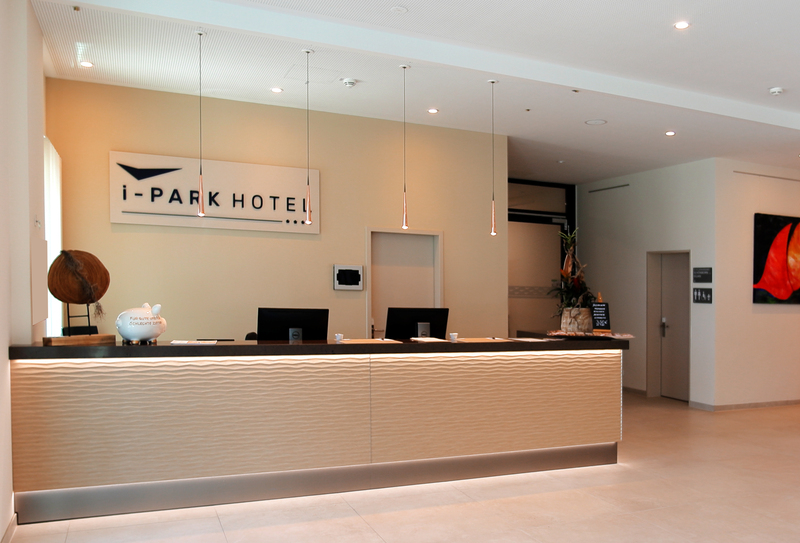 At the i-PARK HOTEL, we have three restaurant categories so that all guests can choose what they like best. Our facilities are also the ideal setting for festivities with 10 to 230 guests, such as weddings, family reunions, birthdays and company jubilees. Enjoy your stay – no matter if you are here on business or for a private occasion. Stay in our fully air-conditioned quality rooms with selected extras and modern interior design. 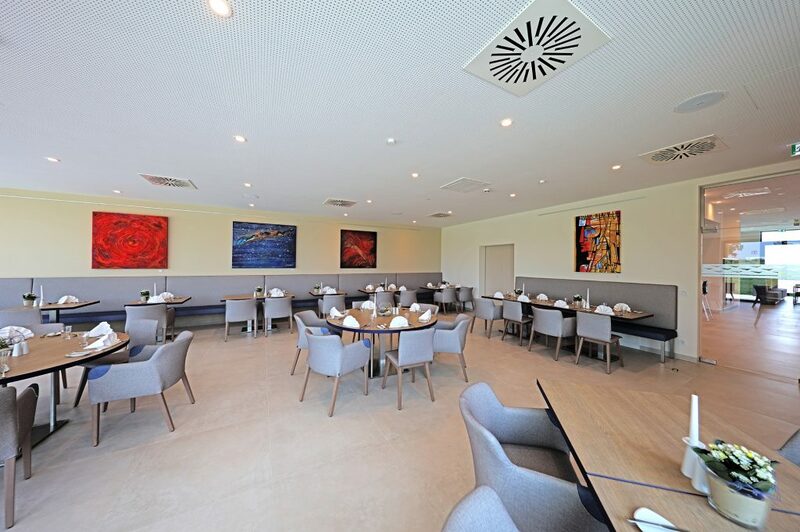 The restaurant WILHELM offers a daily menu with regional specialties. 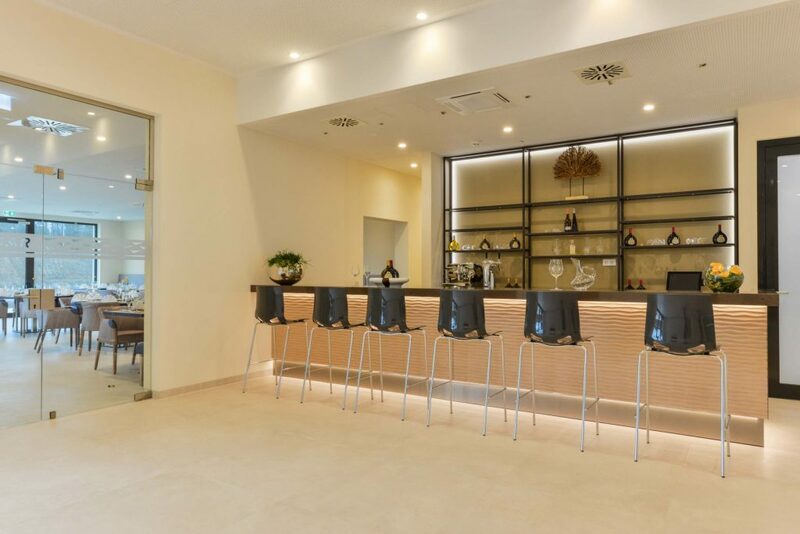 Among the frequent visitors of the restaurant are many people who work for different companies at the i-PARK KLINGHOLZ and who are looking to have a quick business lunch inside or on the nice terrace. At the restaurant JULIUS guests can enjoy the daily buffet or a 3-course menu. 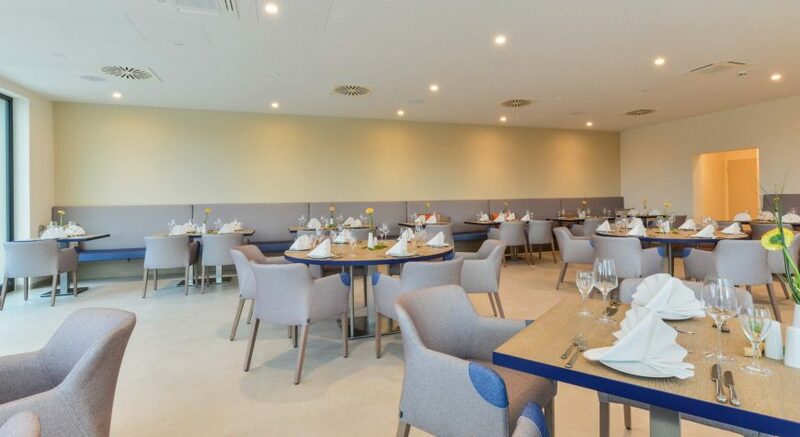 The restaurant BALTHASAR invites you to sit on the spacious terrace and enjoy regional specialties from the weekly menu in a relaxed atmosphere. 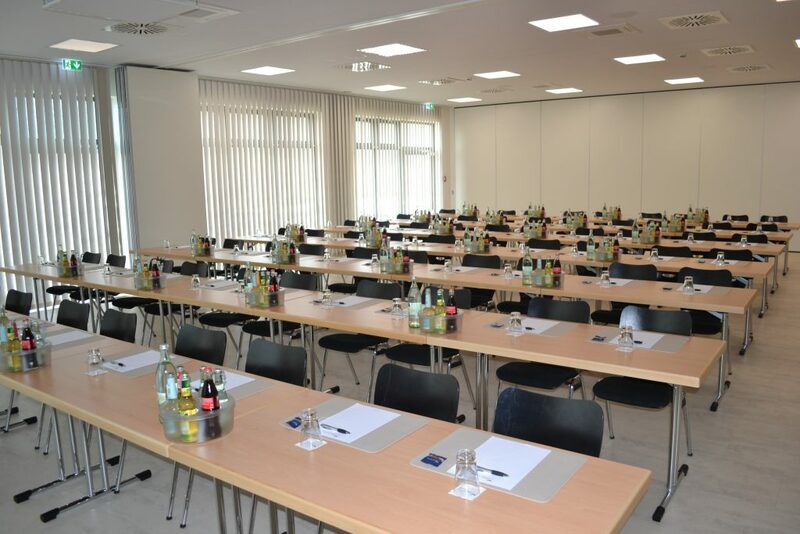 The fully air-conditioned business and conference hotel with 66 modernly designed rooms. 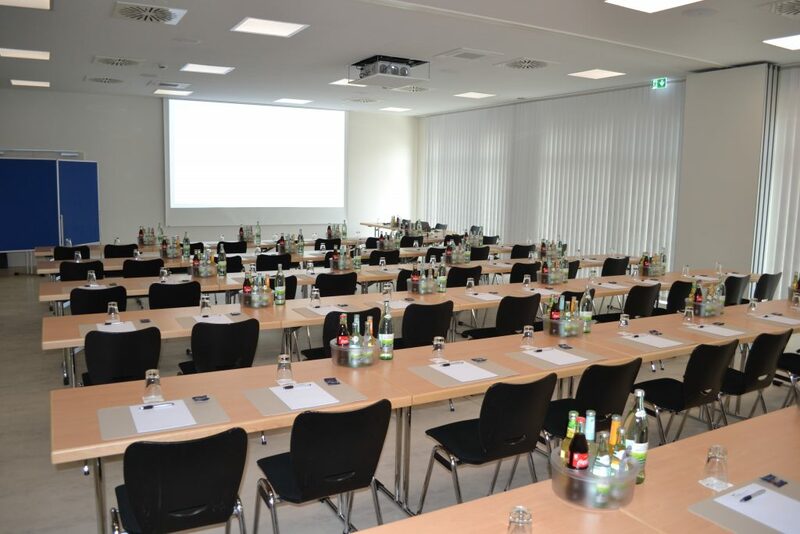 The conference rooms feature modern multi-media technology. 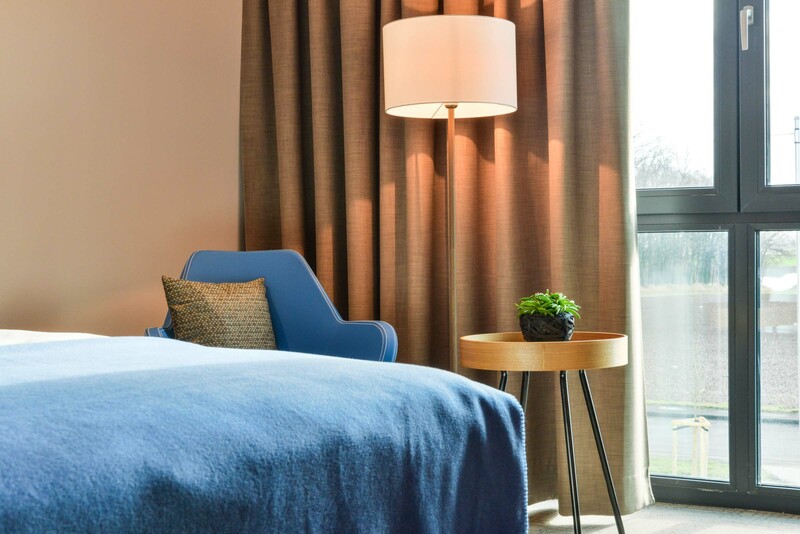 Thanks to their natural and inviting atmosphere that is based on warm colors and a short-piled allergy-friendly flooring, our rooms invite the guest to stay and relax. 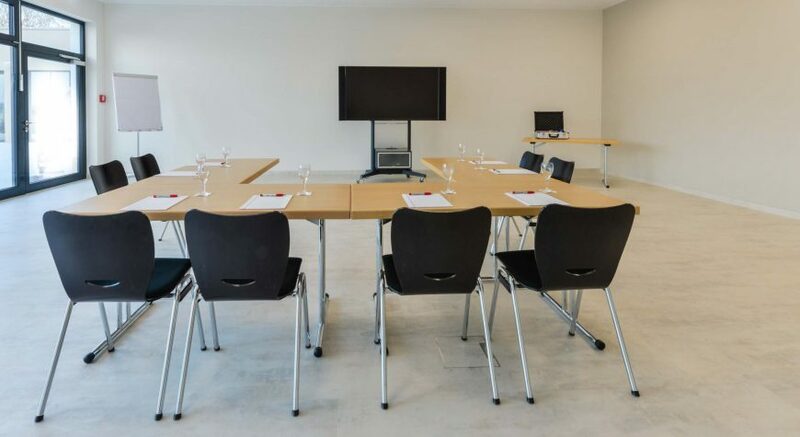 The conference rooms feature modern multi-media technology that was installed with technological expertise and the room layouts can can be flexible adjusted. We offer numerous regional specialties so that all our guests find something to meet their personal taste. 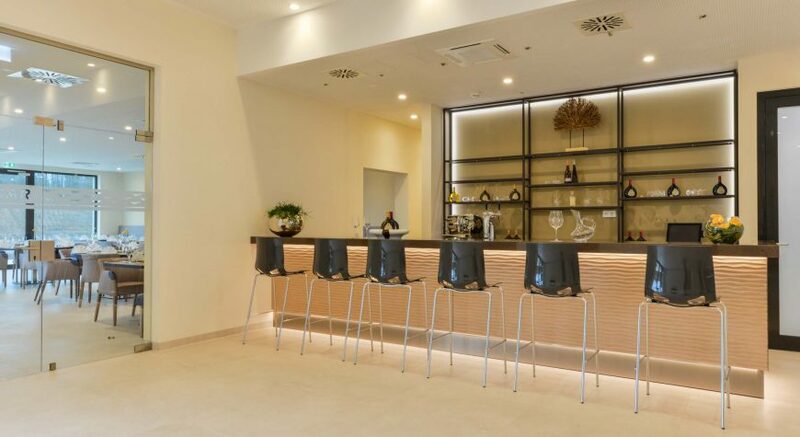 No matter if you are here on business or for a vacation – the i-PARK HOTEL offers the ideal setting for any occasion. Saturday, Sunday and on Holidays: Our restaurant is available for hotel guests, groups and, events. ICE from airport Frankfurt am Main to Munich; get off at Würzburg Hauptbahnhof (central station). It takes approximately 90 minutes to travel from the airport of Frankfurt am Main to Würzburg central station. Autobahn exit Würzburg Heidingsfeld/Giebelstadt, follow the federal road B19 in the direction of Giebelstadt and turn left after approx. 8 kilometers where you will find the i-Park Klingholz. Take the A7 and exit at am Autobahn junction Biebelried, follow the A3 in the direction of Würzburg/Frankfurt and then continue like from the A3 from Munich. Take the A81 and exit at Würzburg West onto the A3 in the direction of Würzburg/Nuremberg, then continue like from the A3 from Frankfurt. ICE, IC, RE connection from all of Germany to Würzburg’s central station. From Würzburg central station by tram line 1 or 4 in the direction of Sanderau, get off at Königsbererstraße (last stop). Then take the bus 421 to Giebelstadt and get off at Reichenberg/Klingholz B19 or i-Park. Alternatively, you can take a shuttle from Würzburg central station on request. AAutobahn exit Würzburg Heidingsfeld/Giebelstadt, follow the federal road B19 in the direction of Giebelstadt and turn left after approx. 8 kilometers where you will find the i-Park Klingholz.